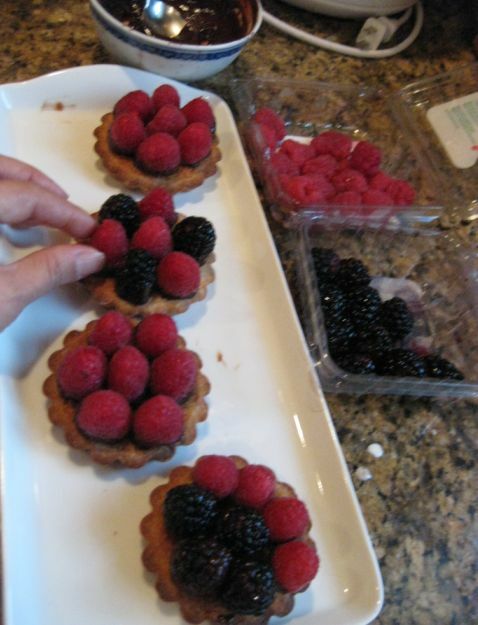 I went to the market today and saw that they have ripe raspberries and back berries. 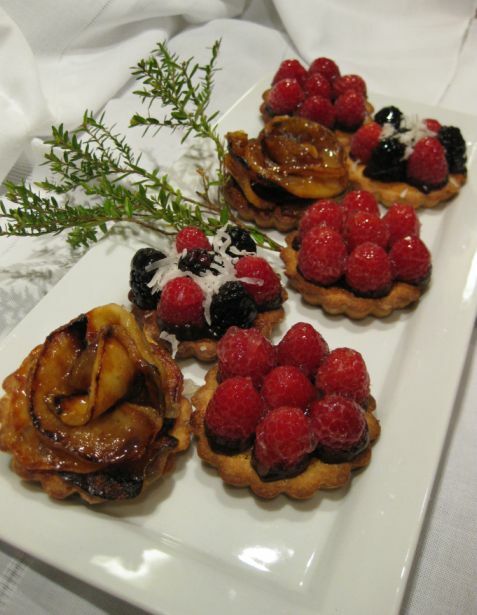 They looked so good so I decided to buy them and make some fruits tartlets. 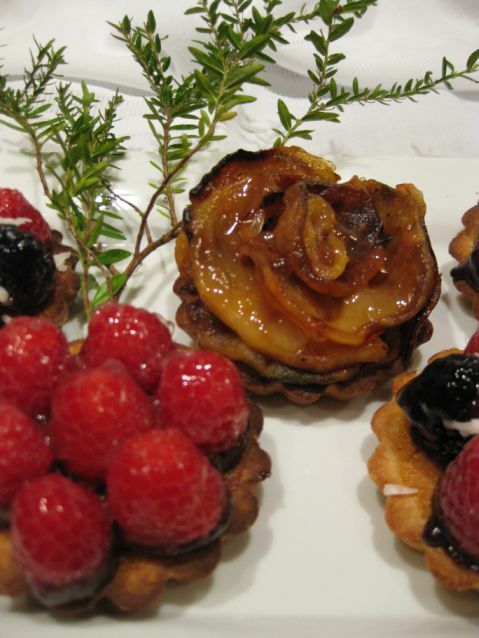 I also have a few apples hanging around so I decided to make 3 different typed of tartlets. 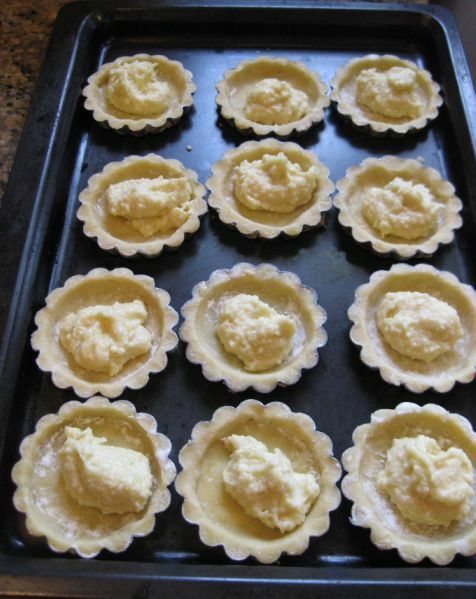 The base of the tartlets is make with home made pâte sucrée. 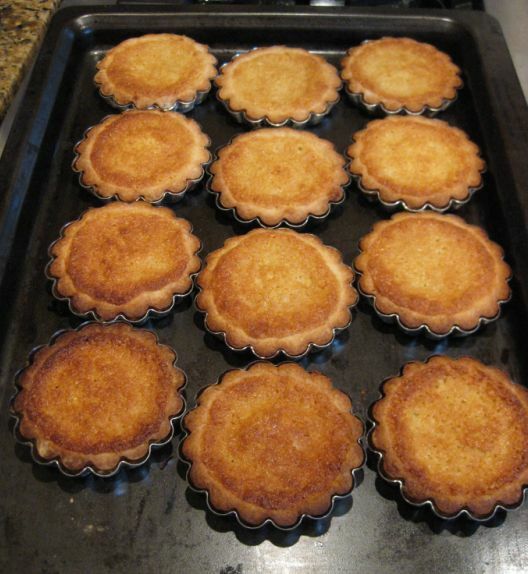 Pâte sucrée is a crunchy dough that taste like a sweet short bread used mostly for pie. 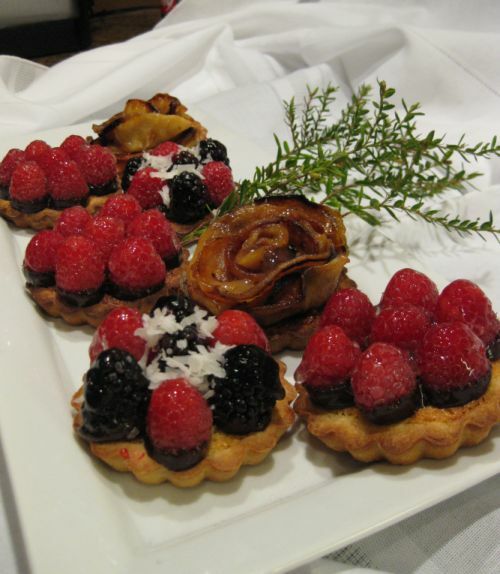 A platter full of tartlets! 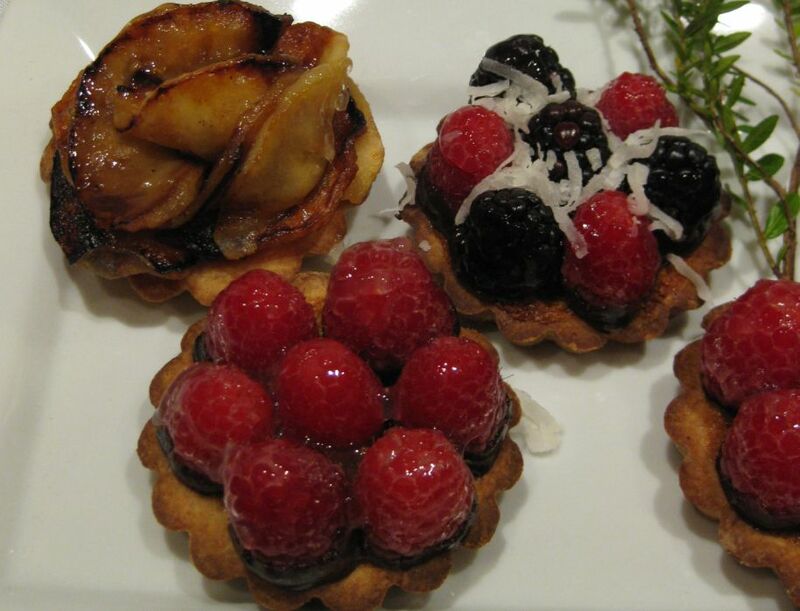 Close look at the Raspberries, roasted apples, and mix berries tartlets. 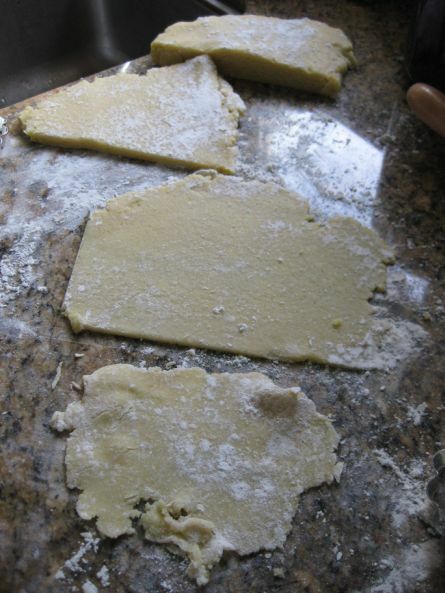 On a floured worked surface, roll out the dough with a floured rolling pin into a large circle. 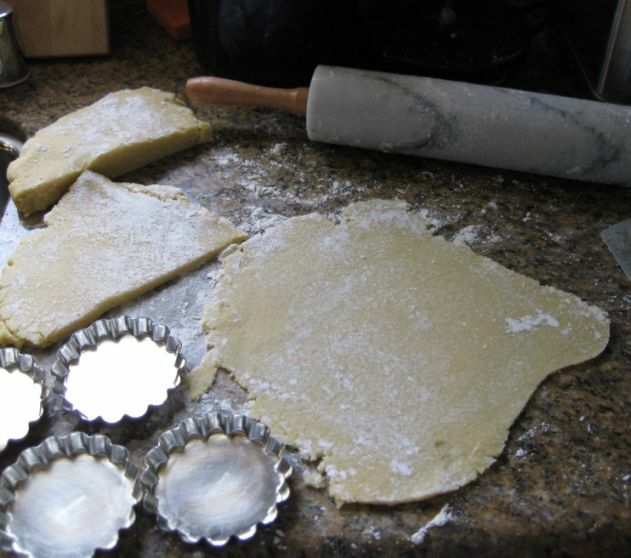 Note that I only use half of the dough. 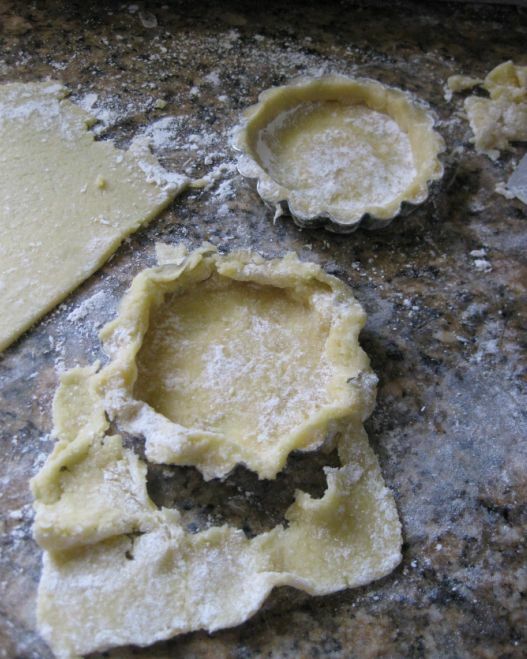 Roll out smaller portion of dough to fit my tartlet molds. Forming the dough to fit my molds. 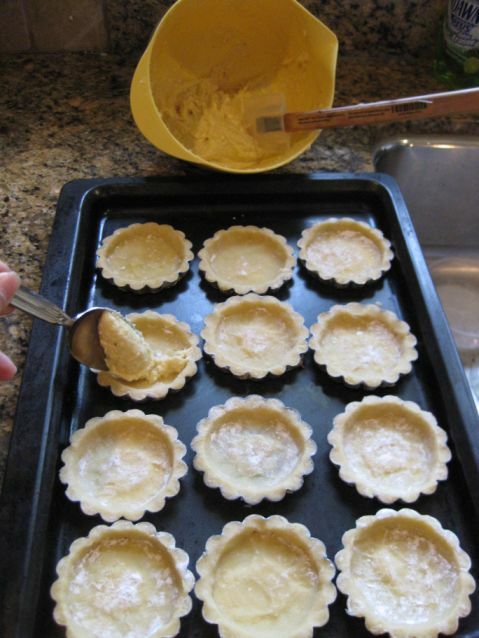 Next, I am filling the mold with Frangipane (Almond filling). ready to go into a heated oven at 375 degrees for 15 minutes. Freshly out of the oven. 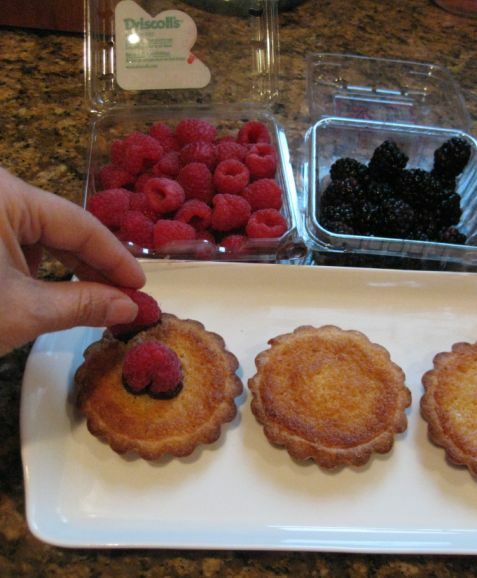 Remove molds and let them cooled off. 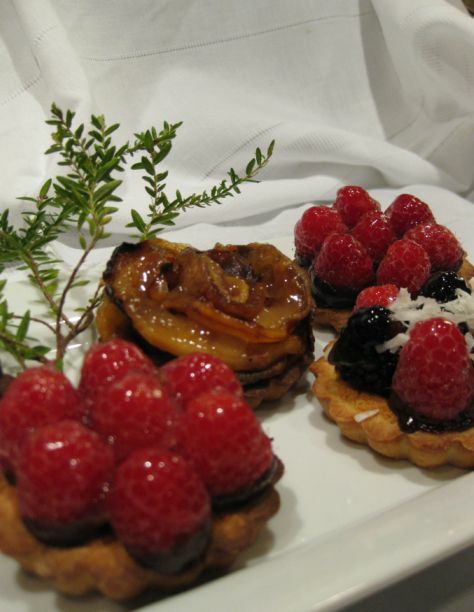 Lining up the fruits and melted chocolate will be used as glue on the tartlets. 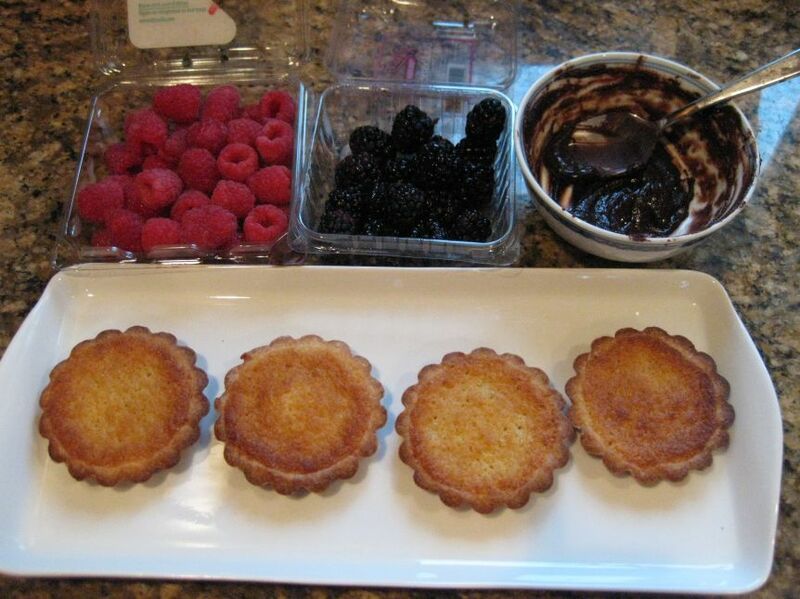 First, i dipped the bottom of the fruits in the melted chocolate and then it will be decorated on top of the tartlets. 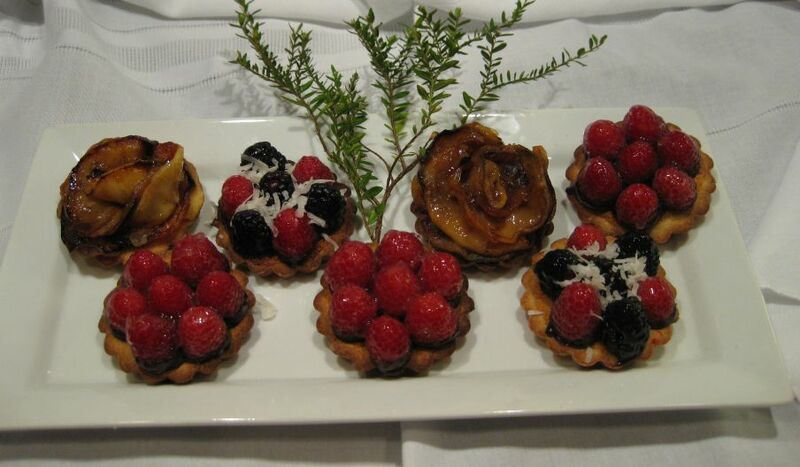 Here all the fruits are on top of the tartlets. 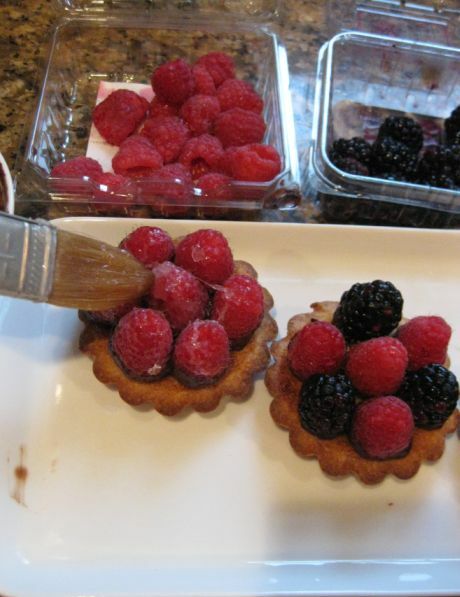 Brushing a layer of glaze of top of the fruits so they are shinny and appetizing!